To somehow guide those who are still looking for a media player that will suit their needs, I have put together a list that I hope will help. Take your pick from 12 of the best and certified quality media players for Linux. Banshee is a free audio player for GNU/Linux operating systems that is built upon Mono and Gtk#. It uses the GStreamer multimedia platform for encoding, and decoding various music formats, including Ogg Vorbis, MP3 and FLAC. Banshee can play, import and burn audio CDs, but it can not synchronize music with any portable media players, including Apple's iPod and Creative Zen players, in the current version. Music stored on the iPod can be played without synchronization, and album art stored in the Banshee library is transferred to the iPod. Support for MTP and PlaysForSure devices, as well as the Rio Karma player is planned for the near future. Rhythmbox is an audio player that plays and helps organize digital music. Originally inspired by Apple's iTunes, it is free software, designed to work well under the GNOME Desktop using the GStreamer media framework. It is currently under active development. Playback from a variety of digital music sources is supported, excluding MIDI. The most common playback is music stored locally as files on the computer (the 'Library'). Rhythmbox supports playing streamed Internet radio and podcasts as well. The Replay Gain standard is supported. Totem is a free software media player (audio and video) for the GNOME computer desktop environment that runs on Linux, Solaris, BSD and other Unix and Unix-like systems. It is officially included in GNOME starting from version 2.10 (released in March 2005), but de facto it was already included in most GNOME environments. The default backend is GStreamer framework but Totem can also use xine libraries. 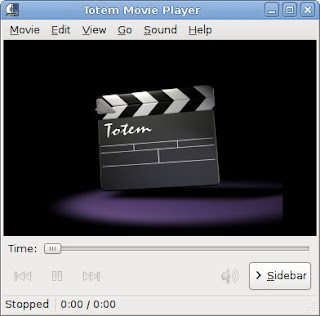 Totem is included as the default media player in many desktop Linux distributions, including Ubuntu, Mandriva Linux and others. Thanks to a large number of plugins developed for GStreamer, Totem is able to play all mainstream media formats, both open and proprietary ones. It also understands numerous playlist formats, including SHOUTcast, M3U, XML Shareable Playlist Format (XSPF), SMIL, Windows Media Player playlists and RealAudio playlists. Playlists are easily manageable using drag-and-drop features. 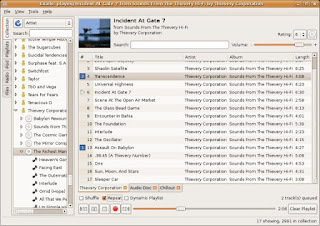 Amarok is a free software music player for Linux or other varieties of Unix. It makes use of core components from the K Desktop Environment, but is released independently of the central KDE release cycle. Amarok serves many functions rather than just playing music files. For example, Amarok can be used to organize a library of music into folders according to genre, artist, and album, can edit tags attached to most music formats, associate album art, attach lyrics, and automatically "score" music as it is played. * Playing media files in various formats including but not limited to (depending on the setup) FLAC, Ogg, MP3, AAC, WAV, Windows Media Audio, Apple Lossless, WavPack, TTA and Musepack. Amarok does not play digital music files embedded with DRM. * Tagging digital music files (currently FLAC, Ogg, WMA, AAC, MP3, and RealMedia). * Creating and editing playlists, including smart and dynamic playlists. 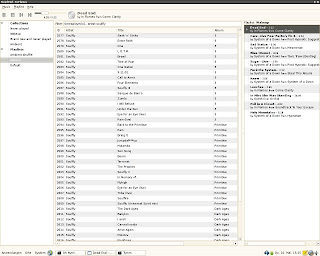 The dynamic playlists can use such information as the "score" given to a song by an Amarok script, and the playcount which is stored with the song. * Synchronizing, retrieving, playing, or uploading music to the following digital music players: iPod, iriver iFP, Creative NOMAD, Creative ZEN, MTP, Rio Karma and USB devices with VFAT (generic MP3 players) support. * Displaying artist information from Wikipedia and retrieving song lyrics. * Last.fm support, including submitting played tracks (including those played on some digital music players) to Last.fm, retrieving similar artists, and playing Last.fm streams. 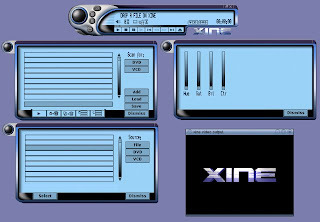 xine is a multimedia playback engine for Unix-like operating systems released under the GNU General Public License. xine is built around a shared library (xine-lib) that supports different frontend player applications. Another important feature of xine is the ability to manually correct the synchronization of audio and video streams. xine uses libraries from other projects such as liba52, libmpeg2, FFmpeg, libmad, FAAD2, and Ogle. xine can also use binary Windows codecs through a wrapper, bundled as the w32codecs, for playback of some media formats that are not handled natively. In addition, Exaile also includes a built-in SHOUTcast directory browser, tabbed playlists (so you can have more than one playlist open at a time), blacklisting of tracks (so they don't get scanned into your library), downloading of guitar tablature from fretplay.com, and submitting played tracks on your iPod to Last.fm. KPlayer is a multimedia player for the KDE desktop environment. KPlayer uses MPlayer as the backend for playing multimedia files and provides a variety of additional features. 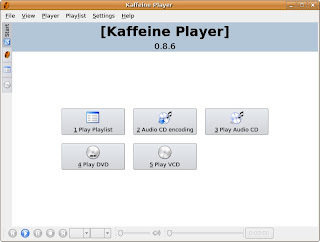 Kaffeine is a media player for Unix-like operating systems running KDE. By default it uses xine-lib media framework but also supports GStreamer. It also supports the use of MPlayer project's binary codecs for proprietary formats. Kaffeine developers have also produced a Mozilla plugin to start the player for streaming content over the web. Features include streaming, DVB, DVD, Video CD and CD audio. 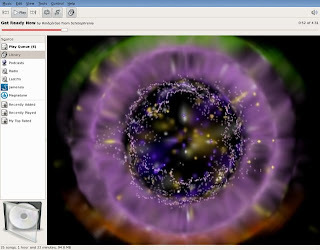 Audacious is a GUI-based free software media player for POSIX systems, such as Linux. It is a fork of Beep Media Player 0.9.7.1, which is itself a fork of XMMS. William "nenolod" Pitcock decided to fork Beep Media Player after the original development team announced that they were stopping development, in order to create a next-gen version, BMPx. The reasons for the fork were purely technical. 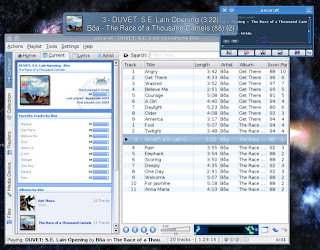 There were some quirks in Beep Media Player that had annoyed users, such as the ID3v2 tag handling, which had been reported as buggy by some users. The developers also had their own ideas about how a player should be designed, which they wanted to try in a production environment. 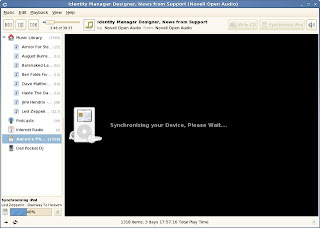 Besides, Beep Media Player allegedly lacked functionalities that were considered useful for people who did streaming, such as support for an XMMS-like "songchange plugin". XMMS2 (X-platform Music Multiplexing System 2) is a new generation of the XMMS audio player. It is a new design, written from scratch, separate from the XMMS codebase. While Peter Alm, one of the original authors of XMMS, was responsible for the initial design and coding of XMMS2 (late 2002 to early 2003), he has since passed on the responsibility of furthering the project to Tobias Rundström and Anders Gustafsson. MPlayer is a free and open source media player distributed under the GNU General Public License. The program is available for all major operating systems, including Linux and other Unix-like systems; Microsoft Windows and Mac OS X. Versions for OS/2, AmigaOS and MorphOS are also available. The Windows versions work with some minor problems, and also in DOS using HX DOS Extender. A port for DOS using DJGPP is also available. MPlayer supports a wide variety of media formats. In addition to its wide range of supported formats MPlayer can also save all streamed content to a file. MPlayer is a command line application that has different optional GUIs for each of its supported operating systems. 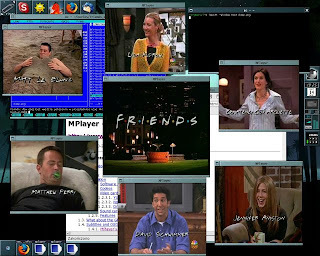 Commonly used GUIs are gmplayer (the default GUI for GNU/Linux and other Unix-like systems, and Microsoft Windows), MPlayer OS X (for Mac OS X), MPUI (for Windows) and WinMPLauncher (also for Windows). Several other GUI frontends are also available for each platform. VLC media player is a portable multimedia player, encoder, and streamer supporting many audio and video codecs and file formats as well as DVDs, VCDs, and various streaming protocols. It is able to stream over networks and to transcode multimedia files and save them into various different formats. VLC used to stand for VideoLAN Client, but that meaning is now deprecated. 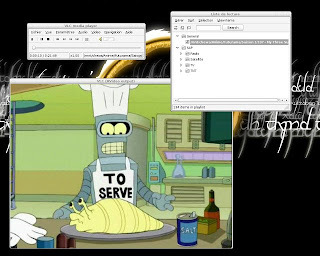 VLC uses a large number of free decoding and encoding libraries. Many of its codecs are provided by the libavcodec codec library from the FFmpeg project, but it uses mainly its own muxer and demuxers. 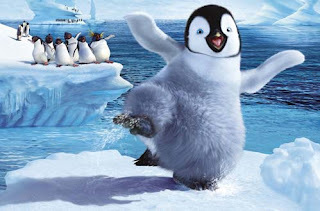 It also gained distinction as the first player to support playback of encrypted DVDs on Linux by using the libdvdcss DVD decryption library. 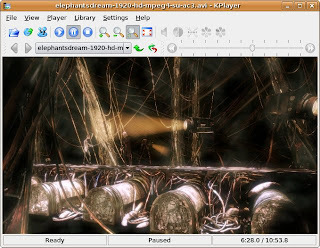 Version 0.8.6, which adds support for WMV version 9 and enhances support for H.264, was released on 10 December 2006. Thanks for this one Jun. This really helps. I'm new to Linux and I really love the experience so far. 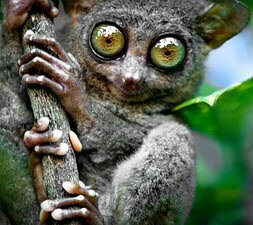 I was convinced to try Linux Mint after reading one of your articles. Thanks once again. Quod Libet kicks the crap outta about 3-4 of those players you posted above. I give this article thumbs down for not even mentioning it. Come on, no love for mpd+ncmpc and mp3blaster? Combo any of those with Yakuake, and you've got a lightweight and stylish music player. @Harold- No problem, I'm glad to help. Thanks for being here. @Dannybuntu- Songbird looks good but I haven't tried it yet so I didn't include it here. I don't want to recommend something if I haven't tried it myself. @Devnet- Sorry I haven't tried Quod Libet yet. Anyway, thanks for the tip. I will be looking at it soon. And how about SMplayer? Better (IMO) than kplayer, mplayer, etc. You should take a look at xbmp. I used to use exaile, wich is very good, but xbmp has that extra little edge to it. And the best player is XMMS. I normally use two of them: Amarok for music (I think it has the best set of features and works well) and VLC for video (you can find many good looking players, but it's hard to find a player that can handle almost every media file). Of course, there's also Miro, which has a different goal, to watch internet TV.